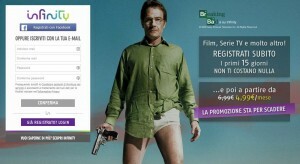 A great landing page from Infinitytv the Italian streaming service, featuring Breaking bad star Bryan Cranston. 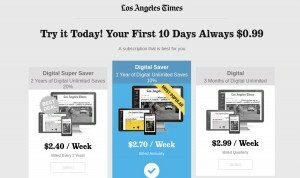 Using a photo like this surely gets the users attention, plus the easy Facebook signup and usual free trial period should be a winner for sure. 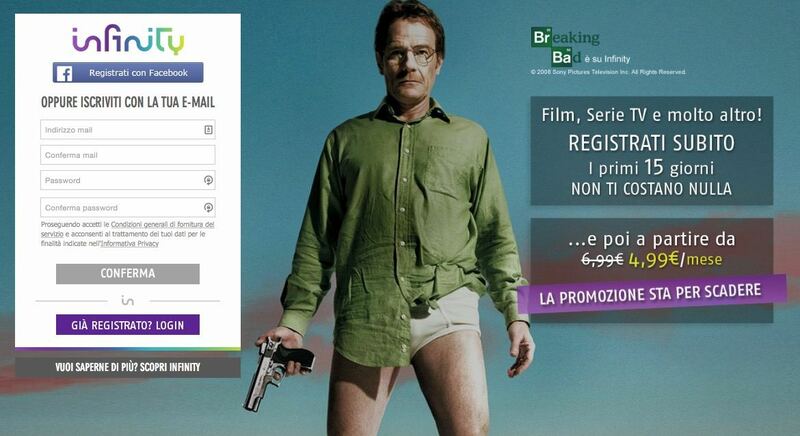 Landing page from skyonline in Italy. 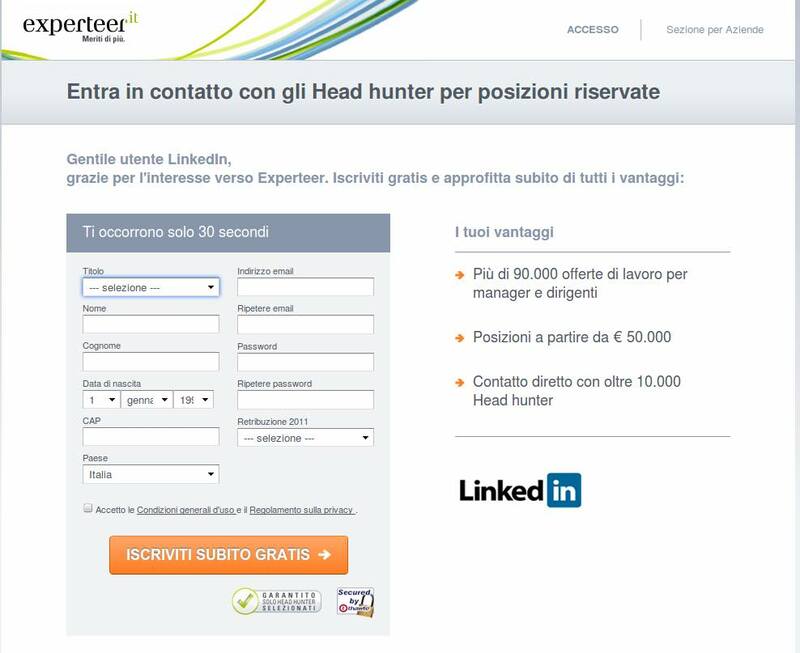 For me this is just a little to busy for my tastes (though Italian portals tend to be like this general). Still this is a great looking landing page. 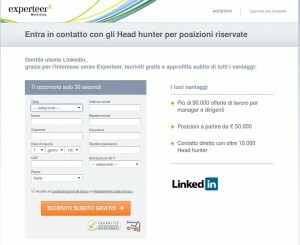 Experteer italy landing page with classic call to action button in Orange. 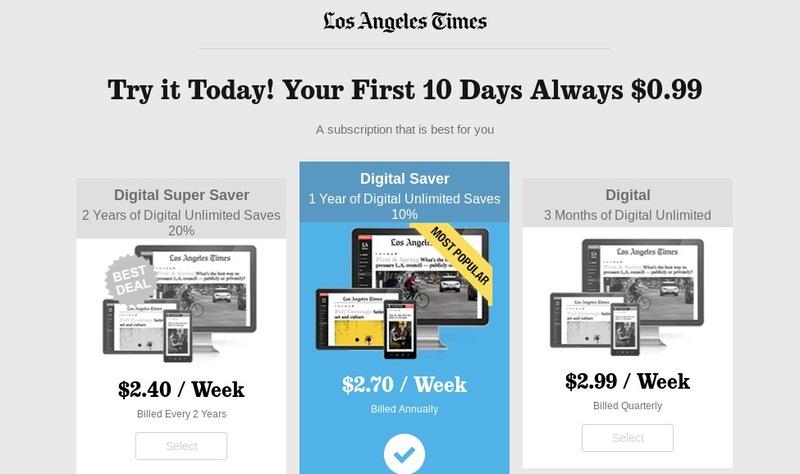 Great PPC landing page from the Los Angeles Times offering a free trial to their subscription service (no easy task these days when users are addicted to “FREE” everything. The title is made up of the “call to action”: Try it Today and the very low offer of $0.99 cents for the first 10 days. Lastly the options are limited to only 3 to not confuse the user and the “most popular” is pre-selected. The “most popular” techique reinforces the point that other users have already chosen this offer.